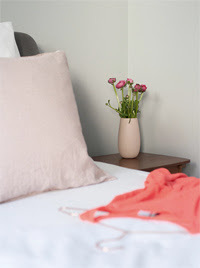 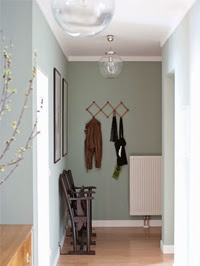 Maybe you have noticed those beautiful porcelain vases in some of my postings about my apartment, for example here or here. 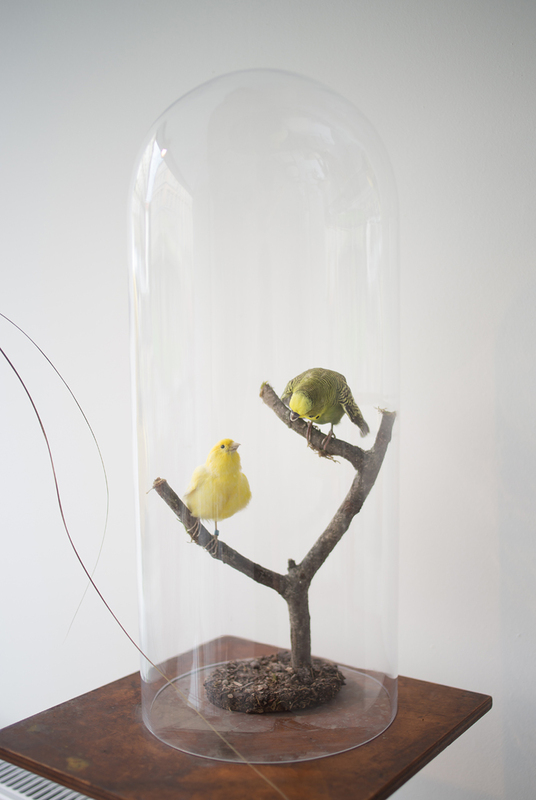 Well, these beauties are made by the talented Sandra Haischberger and her team. 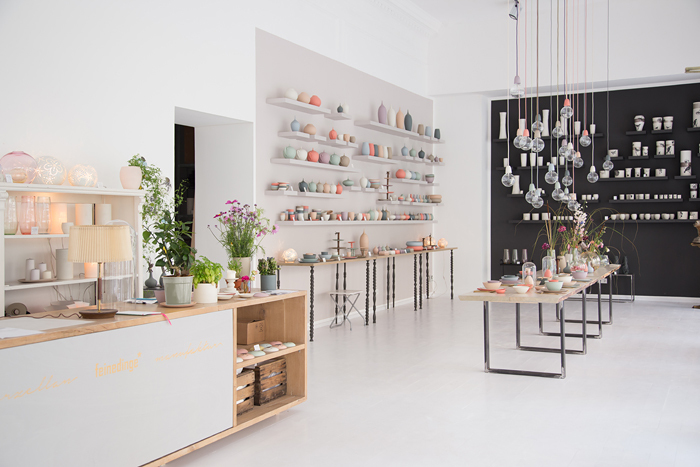 In 2005 Sandra started the label feinedinge* and since then many beautiful objects were created, amongst others the most popular collection Alice. 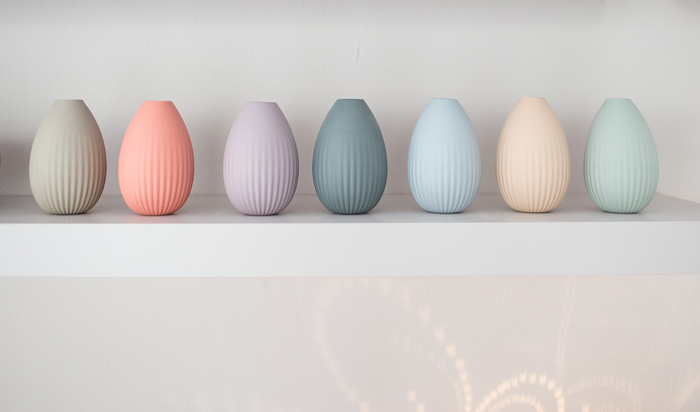 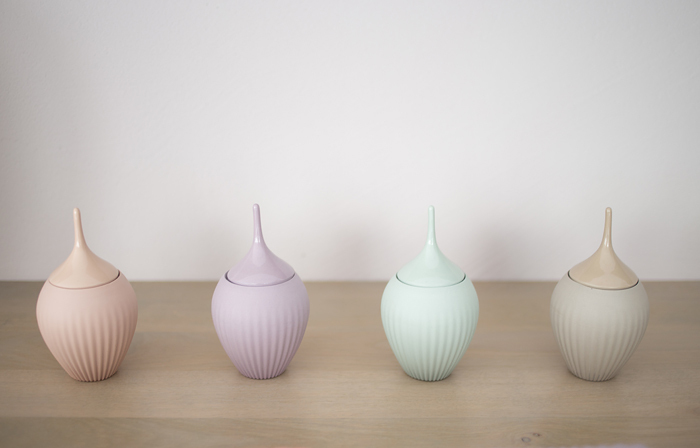 Whether vase, teapot or butter dish, each object is handmade and acts incredibly elegant. 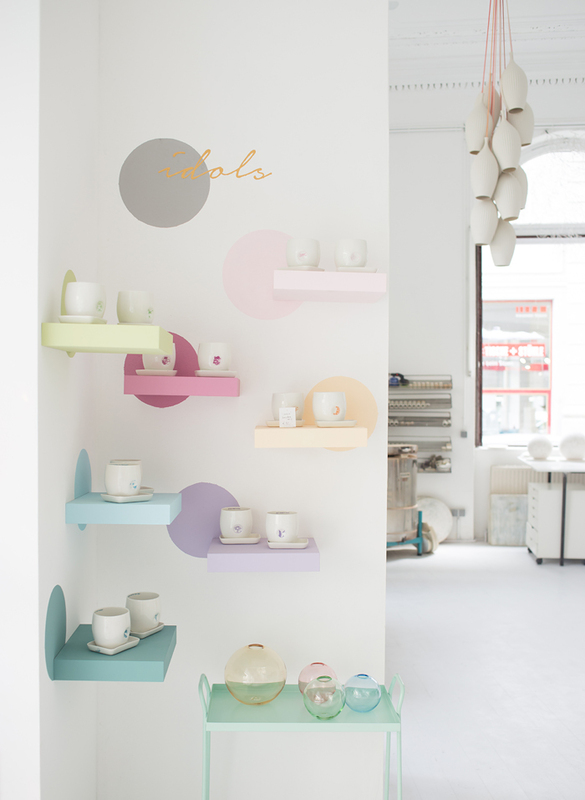 And the colours that Sandra chooses are just delicious! 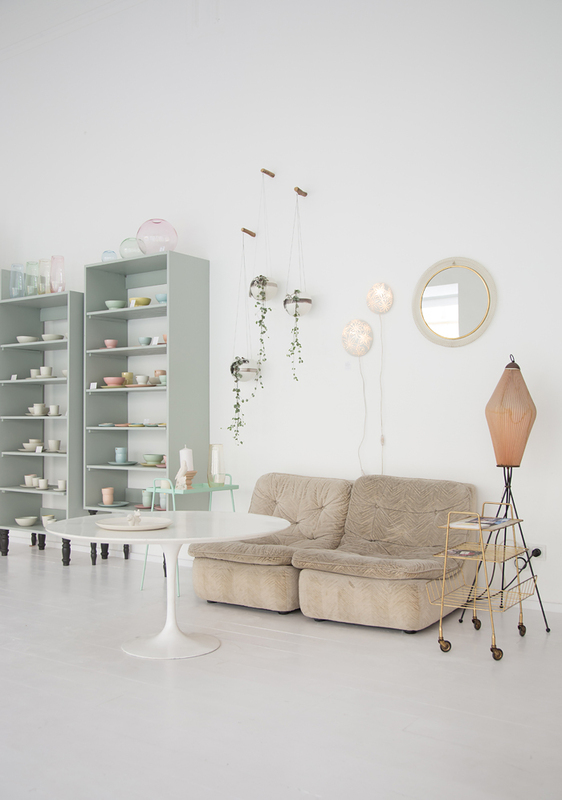 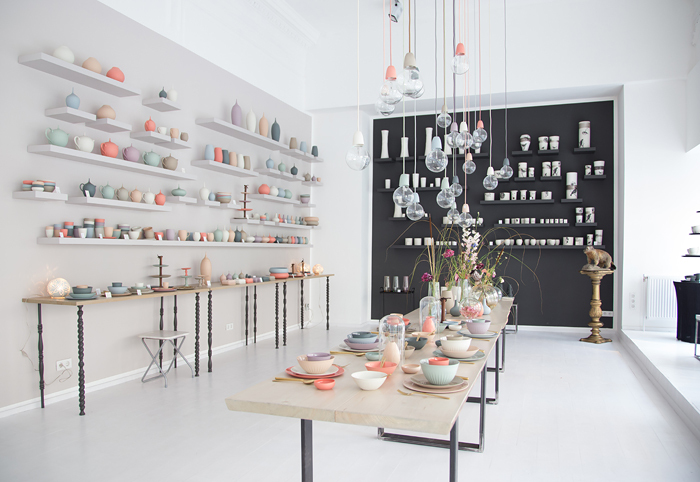 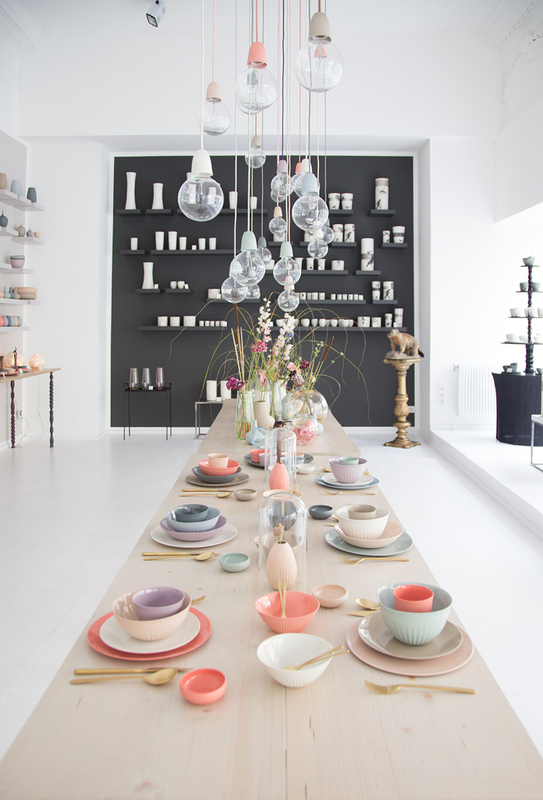 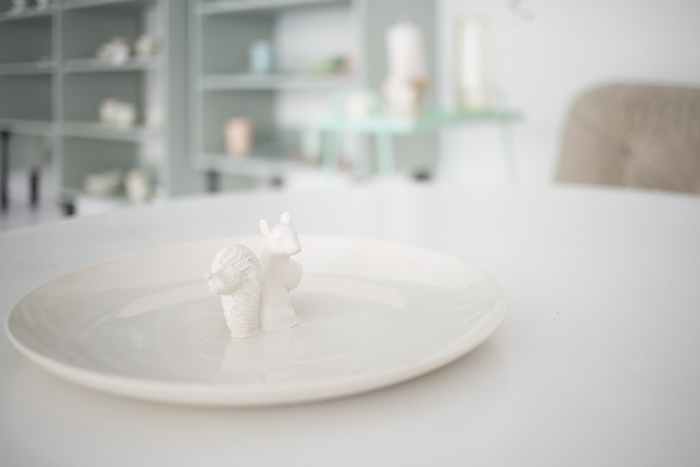 In addition to the Alice collection you can also find many other wonderful tableware, home accessories and jewelry in her brand new showroom in Vienna's 4th district. 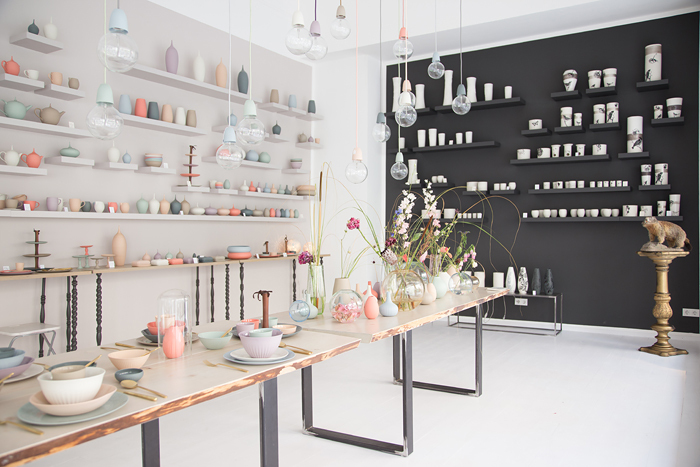 The showroom is a treat for the eyes - white, black and grey walls, a white wooden floor, a stucco ceiling, a cosy corner with a vintage touch, stunning chandeliers, a group of pendant lights above a perfectly laid table and so many beautiful details more... 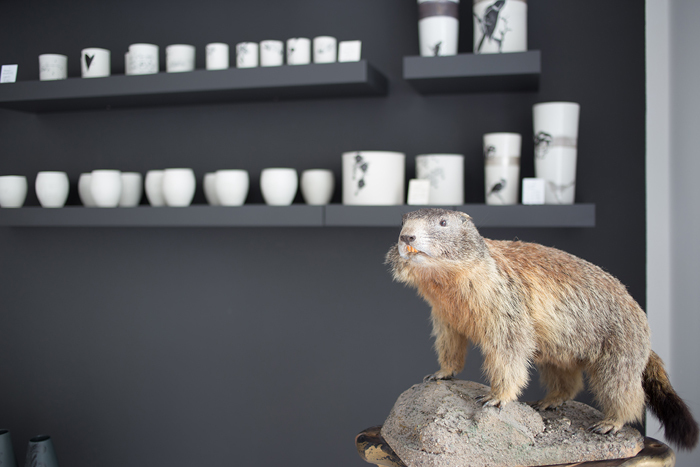 Moreover, you can take a sneak peek at the atelier and the soon to be released collection "animals of the forest". 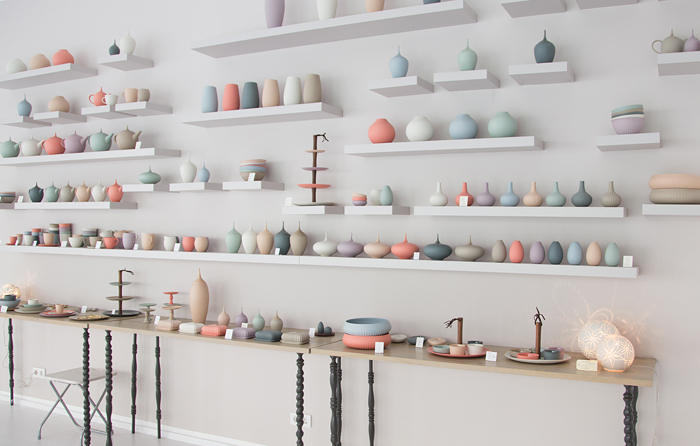 A visit and a purchase are definitely worth it!